I've finished hand-quilting the center panels and borders of my Pinwheel quilt (about time!). Now I'm going to machine quilt the remaining outer panels. 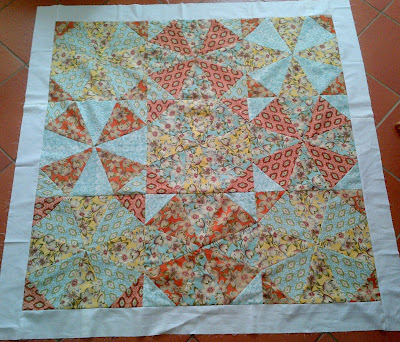 I have started on that, quite a mission with such a huge quilt. It's my first attempt at machine quilting with a running foot; its a bit untidy so far, but I'm getting better at it. 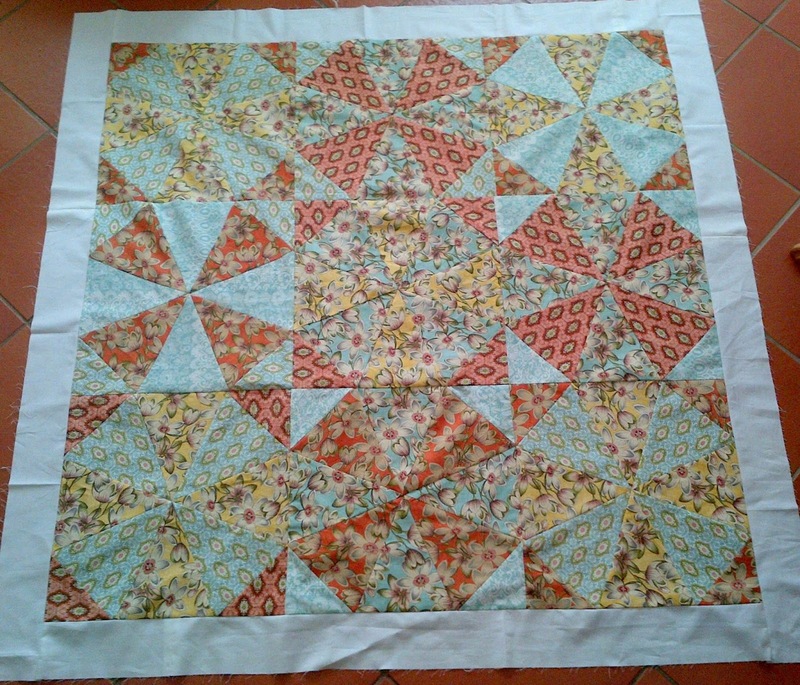 I also finished piecing the back of my Curio hexagon quilt. 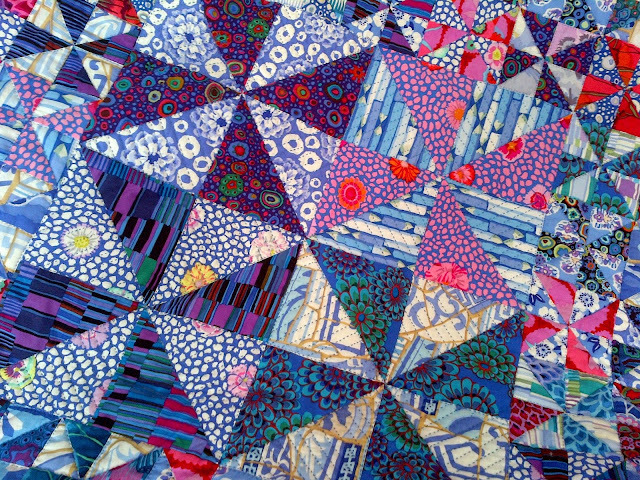 I tried out the kaleidoscope block using my leftover fabrics. I added borders with leftover remnants to get it to the right size for the backing. 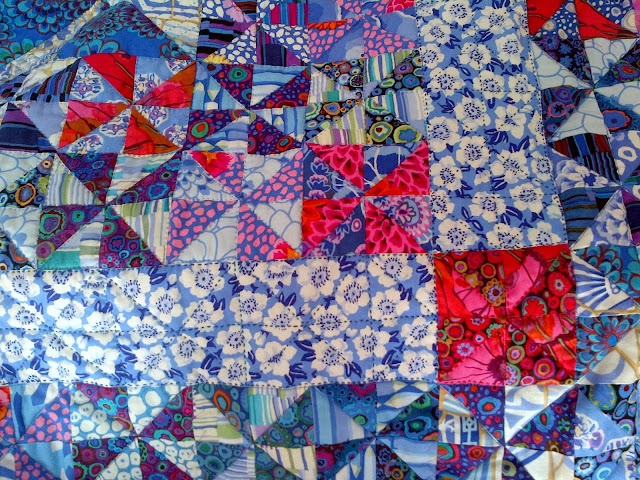 Now I need to assemble the quilt sandwich and do some more machine quilting. At least I'll be getting more practice at it! Two gorgeous quilts! Good for you, quilting them. 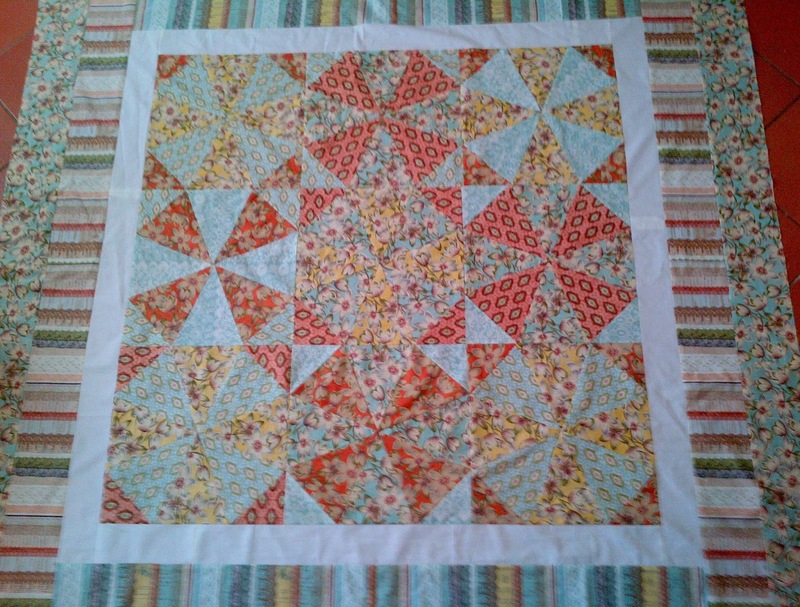 I love using my walking foot for quilting. Can't wait to see the finished piece!